Mahamritunjay Puja is done for a long and healthy life and to get rid of prolonged sickness. Especially for those on their death bed. Lord Shiva represents the aspect of the Supreme Being and is considered to be the destroyer of evil and sorrow. 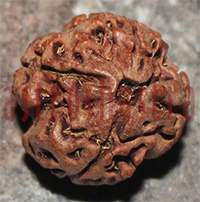 Shiva is 'tri netra' or three eyed, and is 'neela kantha' - blue necked. Shiva - Nataraja is the Divine Cosmic Dancer. Shiva - Ardhanareeswara is both man and woman. Shiva is both static and dynamic and is both creator and destroyer. He is the source of fertility in all living beings. He has gentle as well as fierce forms. Shiva is the greatest of renouncers as well as the ideal lover. He destroyes evil and protects good. He bestows prosperity on worshipers although he is austere. He is omnipresent and resides in everyone as pure consciousness. Lord Shiva is the Lord of mercy and compassion. He protects devotees from evil forces such as lust, greed, and anger. He grants boons, bestows grace and awakens wisdom in His devotees. Lord Shiva is the third member of the Hindu Trinity, the other two being Lord Brahma and Lord Vishnu. Owing to His cosmic activity of dissolution and recreation, the words destroyer and destruction have been erroneously associated with Lord Shiva. Mritunday Homa performed for Lord Shiva to protect the person suffering from the ailments. Mahamrityunjaya puja by Mahamritunjay Mantras is the propitiation of Lord Shiva because Shiva represent the truth and death. 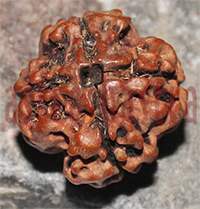 Mahamrityunjaya japa is performed when someone is running markesh, a planetary period invested with powers to inflict physical harm, or when someone’s health is causing serious problems or when some major operation is to be performed.